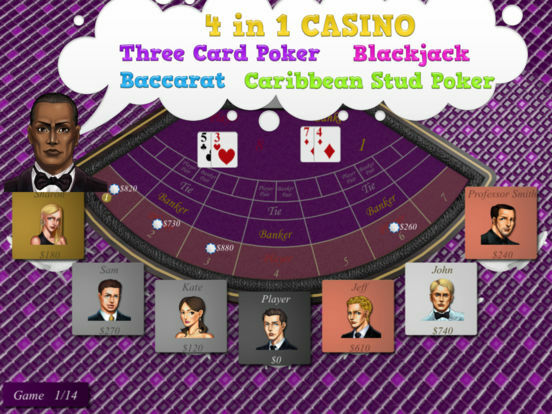 Best three card poker, caribbean stud poker and others. 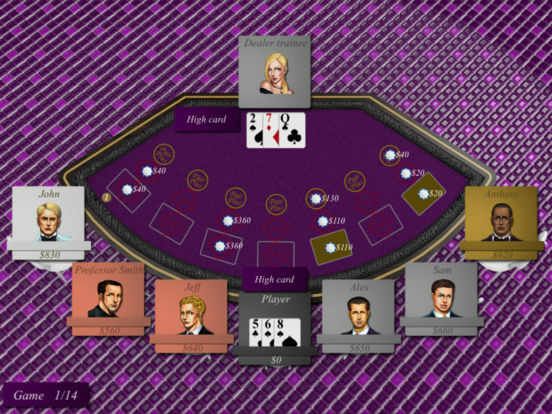 Challenge the banker as well as other player to complete the winner bonus. Turn on the speaker, it supports english voice-over. Collecting marble, pearl, topaz, amethyst, emerald, ruby, sapphire and diamond jewelry by ranking no.1 in the baccarat, blackjack, caribbean stud poker or three card poker. 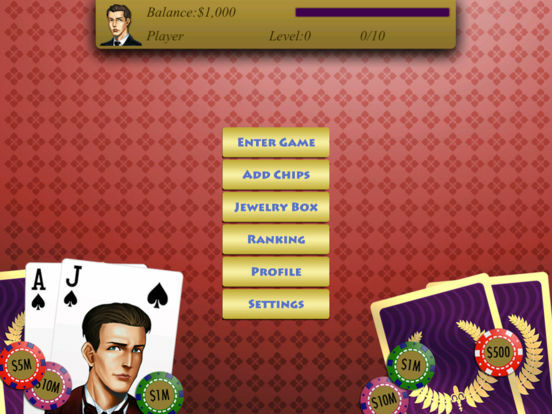 The game is free to install and will offer you daily bonuses and XP bonuses from $100 to $1,000. Install now and enjoy a day of gaming at our casino.